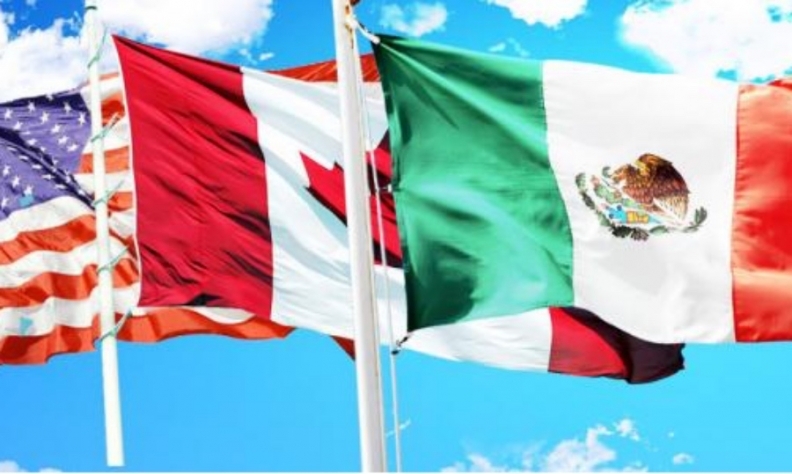 The Trump administration presented goals for upcoming talks to revise the North American Free Trade Agreement, including an end to trade deficits and stricter Mexican enforcement of labour rules. But noticeably absent was any threatening bravado. The 17-page "summary of objectives" released by the Office of the U.S. Trade Representative last week also seeks to increase the per centage of locally produced content in tariff-free goods and to throw out the current trade dispute mechanism, which is certain to generate pushback. During his campaign for president, Donald Trump promised a much better deal for Americans through a NAFTA rewrite — if not a complete exit from the agreement. The Trump administration will be challenged to achieve its most problematic objectives because it doesn't have the same leverage over Mexico and Canada it once did, and "bluster doesn't work" in trade talks, said Matt Gold, a professor at Fordham University and a former trade negotiator. "If the U.S. is not in position to pull out of NAFTA, and Mexico and Canada know that, then there's no leverage," Gold said last week at a forum in Washington. The first round of talks takes place Aug. 16-20 in Washington. Officials in all three nations are cautiously optimistic negotiations can conclude by year end, before NAFTA becomes campaign fodder in Mexico's 2018 midyear presidential election and U.S. midterm elections in the fall. Such a timeline, they acknowledge, assumes few controversial issues crop up, which analysts say is unlikely. The Trump administration has indicated that it wants to increase the amount of North American content in manufactured goods to qualify for duty-free status in the "rules of origin" section of the pact. Automakers have strongly lobbied to maintain the current threshold of 62.5 per cent for finished vehicles because some parts, such as electronics, are sourced globally to control costs. The summary of objectives is ambiguous about whether the United States will seek to raise the North American threshold or carve out a subrequirement to boost U.S. content in autos and other products, which would favor the richest nation in the bloc over its neighbours. "I think that will be enormously troublesome and almost certainly unacceptable for the other two countries," William Reinsch, who retired last year as president of the National Foreign Trade Council, said at last week's forum, sponsored by the Washington International Trade Association. "It torpedoes the concept of an integrated North American market." The lack of a departure from previous U.S. negotiating positions has disappointed labour interests, who believed that Trump would use the talks to reduce corporate outsourcing and income inequality. "I don't think we saw very much in this document that would lead us to believe that we're headed in a completely different direction, that we are going to be transforming our trade priorities," said Thea Lee, who until June was AFL-CIO deputy chief of staff. The reaction in Mexico, the main target of Trump's trade wrath, was somber number-crunching on how the tweaks might impact foreign investment and automotive exports, without the hair-on-fire panic caused by candidate Trump's rhetoric on auto tariffs and a border wall last year. Mauricio Gonzalez, head of the GEA consultancy in Mexico, summed up the mood of many local analysts after the publication of the U.S. objectives. "I don't think this is good news. I think this is very good news," Gonzalez said during a roundtable discussion on the Televisa TV network. That's not to say U.S. demands on labour standards such as the minimum wage and collective-bargaining rights aren't going to require negotiation, he added. But they are far from the unilateral barriers Trump had threatened. To be sure, the document wasn't expected to lay all of the Americans' cards on the table, and Trump can still exit the pact, but that remains unlikely. "We can't eliminate that from the scenario," said Economy Minister Ildefonso Guajardo Villarreal during the Televisa discussion. Guajardo, who is responsible for the renegotiation, said there were no real surprises in the U.S. negotiating position, but he took issue with its focus on reducing the U.S. trade deficit because that is mostly a result of domestic economic policy. "What I have insisted on during conversations with my counterparts is that gladly we will revise the trade balances while we are focused on how to improve them through the expansion of trade and not through its reduction," Guajardo said. Guajardo said the difficulty of the negotiations should not be understated.